Sport without music would be unimaginable. From the solitude of the single jogger to the multitudes of cheering crowds, music has always had a close connection to sport. Haile Gebrselassie, the famous Ethiopian long distance runner sets world records by running in time to the song ‘Scatman’, and countless thousands of fans proudly sing ‘You’ll Never Walk Alone’ at football matches the world over. In the Summer of 2012 the eyes and ears of the whole world are turned towards London for the Olympics. I’m going to take a look at the music that is used in connection with the Olympics and see if there is anything that marketers can learn, examining the music and techniques that brands and sponsors use to send us their auditory messages. There are seven ‘London 2012 Official Olympic Partners’ and seven ‘London 2012 Official Olympic Supporters’. There is also a long list of London ‘2012 Official Olympic Providers and Suppliers’. At the forefront are the eleven ‘Worldwide Olympic Partners’, most of which have long-term association with the Olympics and includes Acer, Atos, Coca-Cola, Dow, GE, McDonalds, Omega, Procter & Gamble, Panasonic, Samsung and Visa. In the context of the Olympics, Coca-Cola has an unprompted recall of more than 25% and it is one of the few brands that can be easily recognised with closed eyes. We will come to Coke in a minute, but let’s take a look at how some of the other sponsors are using music this time. Let’s kick of with Omega, who are using ‘Start Me Up’ by the Rolling Stones for their Olympic sound communications. I can’t help asking: Why ever would a brand want to use a piece of music that is so linked to another brand? Admittedly, we must make allowance for individual subjectivity, but when I first saw this spot, I was wondering why I found myself thinking about Microsoft? At the beginning of the TV commercial the song is just hinted at with the guitar riff, and I was wondering if perhaps Omega’s watches had gone electric and are using the Microsoft operating system? As the song was used for Windows 95, maybe Omega think we have forgotten? Even though it was a mega licensing deal costing reportedly costing $3 million, which was a fortune back then. (It is still a fortune now!) Or maybe they consider that people that watch the TV are too young? It is a riddle. Even if the public probably won’t remember Visa for their music, the chances are pretty high that they will nevertheless be remembered, albeit negatively, for their exclusivity deal, which makes it impossible to use any other card for Olympic transactions than theirs. Relevance through sound? Yes. Recognisability? No. Samsung gets full marks for musical relevance by featuring Beethoven’s ‘Ode to Joy’. The socialists and communists have their ‘Internationale’ and for the rest of us, when all else fails, there is always ‘Ode to Joy’. It has a long history in connection with the Olympics and also happens to be the anthem of the European Union. In a recent survey in the UK, 69% would like to have classical elements in an Olympic theme song and the first piece of music that comes to their minds is this one. Unfortunately, I would give the spot zero marks for believability, as it features David Beckham apparently playing the melody by kicking balls at individual drums on the wall. In another Olympic spot featuring David Beckham, they use atmospheric background music in the style of Vangelis. Yes, well, had they used ‘Chariots of Fire’, I would have understood the Olympic tie-in, but I don’t understand the missed chance to acoustically link both Beckham commercials by using Beethoven. What is more, Samsung is one of the few brands that do have a sound logo. Millions of televisions over the whole planet use it as a start up sound. Although they may not use it consistently in all their TV advertising, at least they have it. And it is known. Why they chose to leave it out for something as huge as the Olympics is a mystery. Although some marketing experts may consider Coca-Cola to be the number one, in a recent German study of the best global brands, 3000 consumers surprisingly placed Coke only at number fifteen. Nevertheless, this megabrand long since understood that by getting a song on the radio – and possibly in the charts – they will be creating free advertising. This was the early version of viral communications. They managed to do it a number of times, with ‘I’d Like To Teach The World To Sing’ and ‘First Time’ by Robin Beck. Then, for the UEFA EURO 2012, Coke presented the song ‘Let’s Get Crazy’ by Gogol Bordello, which was offered for downloading via QR codes on the cans. Their sound logo was embedded in typical football singing manner. It feels like it is part of the song and not like some stuck-on advertising. Although Coca-Cola is the undisputed king of music use in advertising, it is only recently that they have discovered sound branding in a formal sense. Whereas in the past, they were purely campaign based and would change their sound signals accordingly, they now have a common brand sound element running through all the music they use for their brand communications: namely, the Coca-Cola sound logo. It was featured prominently in the song ‘Waving Flag’, the official 2010 FIFA World Cup theme song in South Africa, performed by a nice young chap called K’naan. This was the first really noticeable use of sound branding in its formal definition. The sound logo was inserted as a vocal ‘Wo oh oh oh oh’. It is very predominant but, as it was virtually unknown at this time, in blends in perfectly with the song. 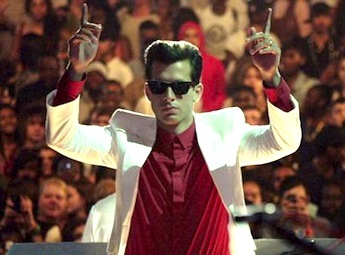 Coca-Cola chose Mark Ronson to produce the music for their 2012 Olympics campaign ‘Move to the Beat’, as he was considered to be an icon in the UK and the best connected man in the music business. The basic idea was to compose a song over a rhythmic loop made up of sounds made by Olympic athletes. Instead of just using stock material, Ronson jetted round the world to personally record the sounds of table tennis, running, archery, hurdles and taekwondo. In November 2011, the basic groove was presented from which the song ‘Anywhere in the World’ was developed, which he says was inspired by London. The song is the core music element for their campaign. Besides using it in TV commercials it is intended to be used on all mobile and digital platforms and at Coca-Cola events. Although using loops of the sounds of the product itself may not be original, this concept somehow feels right for the Olympics. Not just because he lovingly recorded the sounds himself, it allowed the possibility of showing him actually doing it, by producing a ‘making of’. This makes the whole idea more emotional and personal. It also puts the accent on authenticity and quality. I’m reminded of the lengths they went to make some of the Star Wars sounds – and in the film Saving Private Ryan, where for a large part of the movie, the sound effects were the key storyteller. As to the usage, we must wait and see. 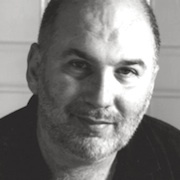 From what is available at the time of writing, the two-minute version starts off with the sound logo, but the 60-second version only quotes it almost subliminally at the end – while the trailer doesn’t feature it all. Although the concept is good, it’s questionable if this song will go into the annals of history. Maybe it will grow on me? Most of the music that brands use for sports have to do with image transfer. Especially when we talk of rock stars like the Stones or of acts like Muse. The desire to be hip, arty or aesthetic is understood but this is no reason to throw common sense out of the window. There are sometimes very understandable reasons why such projects don’t work: lack of time, budget, communication and so on. Not using an opportunity optimally may not manifest itself directly as lost sales, but it may be reflected in other measurable parameters, such as decreased recall, ranking, preference and so on. Before we make music choices, we should ask the question: ‘What do we want to achieve?’ I think we will agree that a brand deserves to have music that will identify it uniquely, and can trigger intentional associations. We want to be able to steer perception and make a measurable impact. Curiously, the choice of music for a brand’s communications are dictated largely by the particular music taste of the person responsible for choosing it, and not by any kind of analytic evaluation process. The bottom line: sound branding and choosing music is not rocket science. A systematic approach doesn’t say that gut feeling should be ignored. Such processes support intuition and provide important information to enable us to make better, more informed decisions. Here, we need the same navigation help for our ears that we are used to getting for our eyes. Then we will be able to recognise countries, events and all our loved brands with our eyes closed.